So many of our friends and family seem to be heading to the USA just lately. We haven’t been there yet but New York is definietly up there on our Bucket List. So…taking time out from documenting our cycling tour across Australia, I decided to do a bit of research on what some of our Partners have on offer. 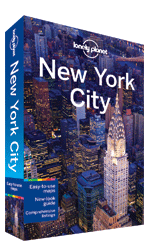 As per usual I started with Lonely Planet to get some ideas and then worked my way down through airfares, accommodation, activities and events to plot out just how much a trip to the Big Apple might set us back. Thankfully with a little planning you can keep the costs down from astronomical and still have an awesome time.. 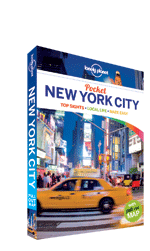 Lets START our journey planning by seeing what resources Lonely Planet has on offer. A quick search in the On-line store for “New York” comes up with the following selection of titles which I promptly downloaded the free first couple of chapters from where I could. Central Park, the Metropolitan Museum of Art, the High Line – Lonely Planet has selected the most iconic sights and the top experiences so you can enjoy the real NYC with the minimum of fuss. Discover the freedom of the open road with New York & the Mid-Atlantic’s Best Trips. 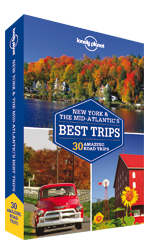 They’ve selected 27 amazing road trips through New York & the Mid-Atlantic, from two-day escapes to week-long adventures, and packed them full of expert advice and inspirational suggestions. Whether you want to visit the National Mall, stroll through New York City’s Central Park or explore the New Jersey coastline, they’ve got the trip for you. OK…So that ticks of most of my biggies if not all and the 7-day pass works out less than 30 AUD or 20 GBP per day and leaves you loads of time to see most if not all those things on your list. There’s a number of other tours that specialise in other areas you might be interested in. Now, what about that Broadway show. Once again Expedia came through on the Things to Do Page (Activities on the Aussie site) with a large selection of shows. A quick glance at the selection and I was spoilt for choice Phantom of the Opera, Jersey Boys, Wicked, I did note the morning and/or afternoon shows were quite a bit cheaper than the evening shows so it’s worth considering getting off your feet and taking a break during the day to save some $$$. And of course weekdays shows are cheaper than the weekend…but what do you care. Every day’s a weekend when you’re on holidays. I’m investigating a number of other avenues to buy tickets to events but unfortunately, some of the reviews are pretty scary. Ticket Liquidator, in particular, had some scathing complaints so be a bit careful when choosing where you buy your tickets. One of the big expenses when travelling to New York is accommodation. If you’re happy to travel for significant time on the subway to get to the sites and stay in dormitory accommodation then you might get something for less than 60$/night. 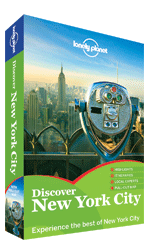 Hostelworld has a huge selection all over New York. (I got around 79 options searching in June 2014..it’s now Feb) But if you want to be right in the action, walking distance to all the sites, have your own bathroom and room to swing a cat then you’re not looking at much change out of $150-$200 a day. If there’s 2 of you, a dorm might even work out more expensive???? I always have a good look at the reviews…a lively atmosphere is a good time for some but a sleepless night for others. Airbnb is probably our choice for accommodation in most places. There are plenty of private rooms, (most with shared bathrooms in our budget <$70/night) with 5-star reviews. You’re not going to get your own apartment though as it’s illegal in New Yor for the host not to be present. I guess the key to getting the perfect room is to work out a location that will balance the cheaper price with the amount you’ll spend on transport to and from the sites you want to see. If you’re not yet a member of Airbnb then join with THIS LINK for a substantial discount off your first booking. Depending on how Airbnb is feeling, it might be up to $50 USD!!! I did actually look at the price of getting your own apartment. Yes, it looks more expensive up front BUT being able to store food and self cater for one or more meals a day can save you significant $$$. And after a hard day tromping about the sights, a little bit of extra space, a comfy lounge your own bathroom can make a big difference to your overall experience. Only Apartments is a UK company that books apartments worldwide and a quick look for New York for 8 nights in June 2014 gave me a selection of 151 apartments from around $100 AUD/day through to Extortionate…Again it’s all about looking at the reviews and making a judgement call about what you think is real and what’s a set-up. Personally, I think a private room in a nice Airbnb that will let you use the kitchen is better value. Bookings.com had almost 400 rooms available in Manhattan but I narrowed this down to 113 by adding a requirement for AC and a kitchenette. Prices ranged from $1350 AUD for 8 nights through to almost $9000. It’s not going to take me long to narrow those down as the price got over $2000 (ie. 250 AUD/night) by the end of the first page but at least some of those were studio apartments. One thing I found when searching for accommodation is to be prepared to be flexible. You might be set on flying in from one place and then onto others but if you aren’t going for a particular event, going in the opposite direction might save you heaps. Running dates a week later than my originals for Manhattan in June saved me $1000 over 8 nights….that’s a lot of Bagels baby!!! For the really budget travellers…joining up with “Couchsurfing” might be an option but remember the philosophy of reciprocity…you can’t just take, take,take out of these options without putting in something at some stage and a quick read tells me this option not without its own issues, there are literally thousands of couches in New York and having to sort through them to find the right one is a hefty task. OK. So that’s New York covered but what about the surrounding areas. Am I better to take advantage of better rates of accommodation by staying longer in New York and doing day trips or should I pick up, ship out and see those areas for a couple of days? Do I want to drive myself, take public transport or get on a tour? Here’s a couple of options I found for Boston, Washington DC, Pennsylvania and The Hamptons on Expedia.com Things to Do Page. The Washington DC Day Tour Visits the capital of the United States and its numerous historical treasures, including the Lincoln Memorial, the Air and Space Museum, and the Senate Building for a similar price. The Hamptons, Sag Harbor and Outlet Shopping on Long Island – if you’re into shopping this trip will let you leave the hustle and bustle of New York City behind and head for a quieter life. Discover why the rich and famous make Long Island their home while squeezing in time for shopping in Sag Harbor and at Tanger Outlets. For about $360 AUD/195 GBP a 2 night Niagara Falls and Shopping Excursion will get you out of the city with a 2-day excursion to experience both the U.S. and Canada sides of the falls, plus a ride on the Maid of the Mist! Transportation and hotel accommodations are included. And last but not least there are airfares. I ran a couple of dates through Expedia.com, Farecompare and Skyscanner to see who had the best deals. They basically all came out around the same but they change regularly. Create an alert on your particular choice and keep up to date with changes. I ran a number of scenarios that included all my internal flights and then my externals and internals separately. I concluded that running them separately was better until I had nailed down my itinerary. That gave me more flexibility with other forms of transport like Trains and day tours. So now I’m exhausted but will be trying to nail down my itinerary by investigating some of the other highlights on the upper East Coast of the USA. May as well tick them off while I’m there. If any of you have suggestions on the best and cheapest way to do New York and it’s surrounds then please leave a comment below. Also the “Must not miss” experiences you might have had…remembering, of course, we ARE budget travellers. NOTE: Whenever using websites to book or buy anything I normally check them out through TRUSTPILOT.com If there are loads of complaints keep away from them. If there’s a rating of 8 or above then you have a better than average chance of having a reasonable experience. I am really enjoying exploring your website, and hearing about your amazing travels. Jeff and I are planning on doing Australia over the next year(in a 4WD landcruiser camper….. Not as adventurous as as you and Tim I’m afraid), before heading back to UK in mid 2015. We intend to buy a campervan and travel around Scotland, Ireland and English countryside. We just took Jeff’s 86 year old mum to USA for a trip of a lifetime, and she had a ball. I forgot to share my blogs with you from the trip, but as you are planning a trip to New York etc. thought I would email them to you now. might be of some use in your travels. Make sure you do the south rim of the Grand Canyon…. It’s great for camping and some really spectacular walks to do. Look forward to reading some more of your travels over the coming months. Can you send me your preferred email address to use.